Large heavy duty outdoor knife, utilising 1095 carbon steel blade, coated in a very durable black powder finish. 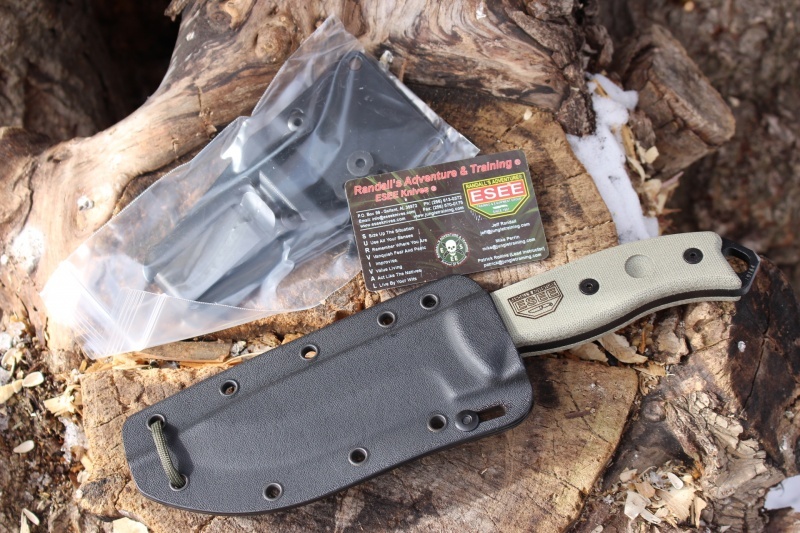 Knife supplied with friction fit moulded black kydex sheath with 550 paracord lanyard, sheath tensioner and drain holes, also has ambidextrous clip plate for belt attachement etc. 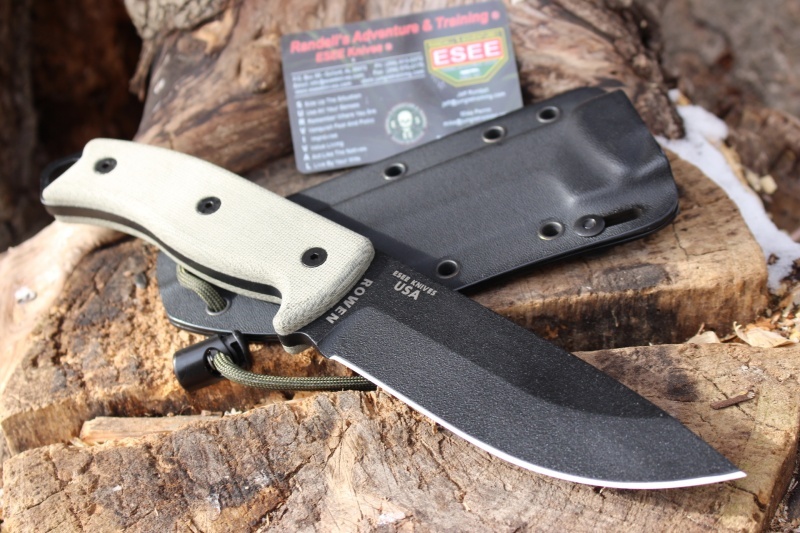 Designed by SERE instructors as a hard use pilots survival knife. 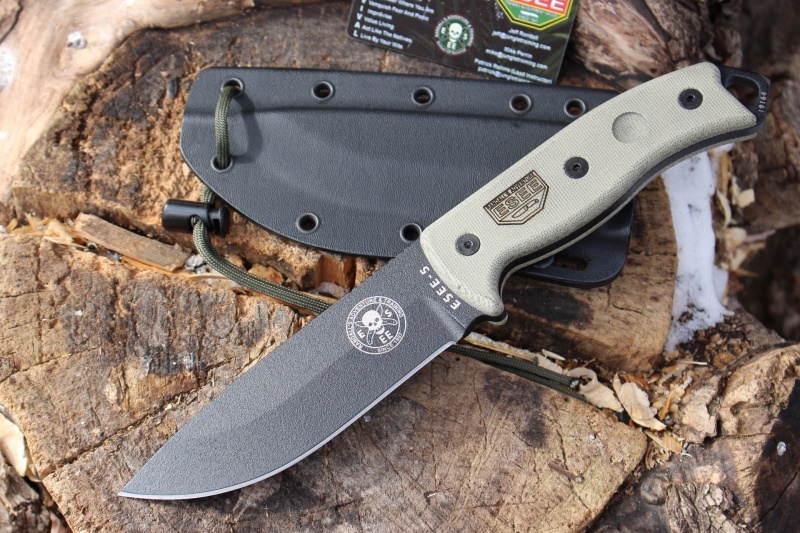 This is a very substantial knife by any standards and is designed as a 'hard use' survival knife. It has a thick heavy blade with a long cutting edge, a window punch on the handle and a 'divet' cut out on the handle slab. O/A length 10.88"/Blade length 5.25"/Blade thickness .25"/Blade width 1.56"/Knife weight 16ounces. Free Shipping items added to your shopping cart will result in Free Standard Shipping for your entire order. Free shipping does not apply to Express Shipping or International Shipping. Oversized Shipping Charges still apply. Free shipping can only be applied to the entire order when shipped as a whole. Orders cannot be split with separate items benefiting from free shipping. 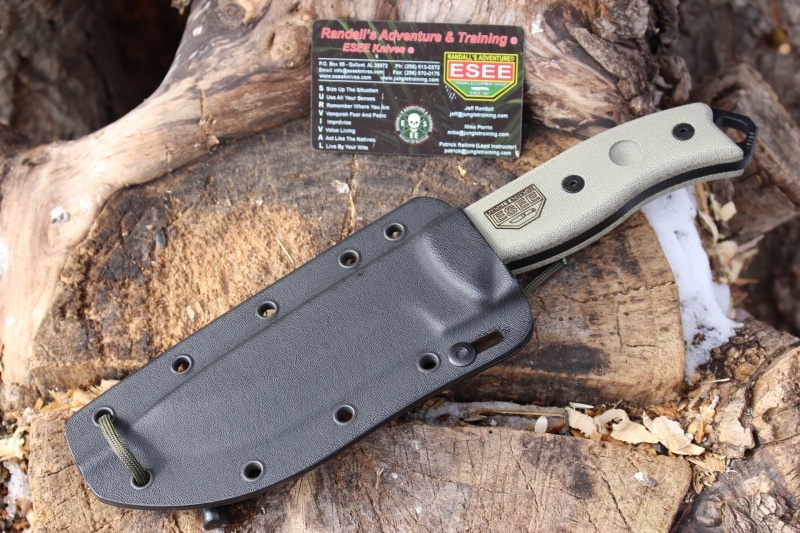 Purchase through PayPal by using the "Add To Cart" button above or use the form below to order the ESEE Knives 5P B . Feel free to contact us if you have any questions about the ESEE Knives 5P B .